You have created a brilliant online store. It is high on features and has a very appealing design. But the problem is that your ecommerce site isn’t converting. Visitors are coming to your store but most of them are aborting it within a few seconds. This is often a result of poor customer experience. You have scratched your head enough but you are unable to find the reason. Many online store managers have a similar story to tell and don’t seem to find the reasons for low conversion rate of their shops. There are many reasons that can lead to low conversion rates in ecommerce sites and to understand these you need to step into the shoes of a customer. Here we look at the six most common reasons why customers abandon online stores. An average user spends just about 8-10 seconds on a page and thus your store needs to render pages at a fast rate to keep the user hooked on. If your pages are slow most of the customers would jump to another online store irrespective of your product inventory. 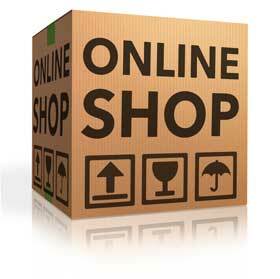 To start with create a store which is light in size and do away with all the unnecessary elements. In fact a page with white spaces attracts customers more than a page cramped with information. Host your site on a fast server which has very little downtime. You might need to spend a few extra bucks for this but it would be a worthy investment. You might be surprized to know that more than 60% of the customers abandon a site after coming to the checkout stage. A few among them might change their minds at the last moment but majority of this abandonment happen due to a poor checkout process. The most common reasons for these are too many steps involved in checkout stage, inadequate payment options, no security certificate and no option to shop as a guest. To increase your conversion rate you need to create a simple checkout process in maximum three steps and allow them to shop without registration. Also display the security certificate such as VeriSign or any other and offer customers with multiple payment options. Your search engine optimization might be spot on and may attract thousands of targeted customers to the website but with an awful navigation in place you have limited chances of success. Navigation isn’t only about linking the different products but you need to categorize them well within your online store. Customers should easily find their way through your product inventory and know where they should be looking for a particular product. Do follow the three-click rule where all your products should be within three-clicks from the homepage. Try using bread crumbs and search boxes to enhance the experience of the users who are coming to your website. Don’t let a customer add a product to a cart if you are going to tell him that it is out of stock. This hurts your credibility and in the long run can create a negative impact on your brand. Products getting out-of-stock is common and you need to be able to get back your supplies soon. Putting an arrival date alongside might keep the customers hooked onto the site. If too many products are expected to be out-of-stock for too long it’s advisable that you don’t display them in the first place and let your customers shop for what you currently have in the inventory. Are you merely displaying a customer feedback and query form in your ‘Contact’ page? If yes you are destined to have a low conversion rate. If the customers don’t see proper contact information they might mistake you to be a scam star instead of a genuine ecommerce store. Just imagine a scenario where a customer wants to get some doubts resolved with the payment option, would he or she wait for you to reply to their query. It is very important for you to display proper contact information including your physical address, telephone numbers and email id. In case a customer sends some query over email, be courteous enough to reply. Too many suggestions tend to annoy the customer and ensure you lose them for ever. Do you have too many recommendations on your website? If yes please make sure that you don’t overdo with this thing. Offering suggestions to the customers is the right thing to do but dictating terms is annoying. Keep in mind that your customer is mature enough to know what to buy and won’t shop for a product unless he or she really needs it.